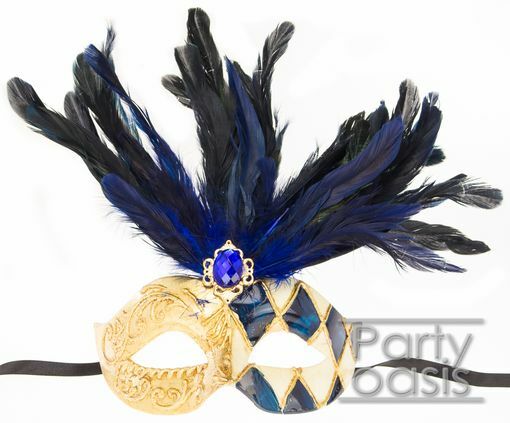 A classic Venetian-style mask with raised designs-- painted half gold, and a half ivory and blue diamond design. There is a forehead jewel at the base of a plume of matching feathers. Each mask measures 6�W x 4.5�H (9� with feather) x 4�D, and comes with black ribbon ties.